The success of the Cumbria Tourism Awards, now in their 15th year, is due to the support of our sponsors. The competition and event is financed through the generosity of our sponsors and ticket sales. It is thanks to you that we can celebrate Cumbria’s achievements in tourism and go on to compete in the national tourism awards. At Lamont Pridmore, adding value to both you and your business is integral to everything we do. Our warm, friendly and approachable service is provided by specialist staff with strong tourism and hospitality experience who operate in the world of business first and foremost. Our business expertise and pro-active, innovative approach has created a comprehensive range of valuable services to meet your financial needs. At the heart of these services is the desire to help you keep your tax liabilities to a minimum, improve your profits, increase the value of your business and invest your wealth wisely. We start where many firms finish. Enterprise Answers continues to build on its established track record of assisting businesses across Cumbria with the finance they require to help them develop, expand and grow. Our experience and expertise has assisted many businesses across the depth and breadth of Cumbria, enabling them to realise their creativity and unleash their potential. The county has a brilliant food and drink offering to delight both tourists and locals, which we know from having engaged with businesses from this sector. We are proud to be sponsor the Taste Cumbria category at the Cumbria Tourism Awards. Colourmedia is once again proud to be supporting these prestigious awards, and to share an event dedicated to recognising quality from across the county. Colourmedia is a multi-award winning design studio based in Carlisle. Delivering logo and brand design, graphic design for print and website design. Cumberland Business is the commercial banking arm of Cumberland Building Society which provides mortgages, current accounts and banking services to businesses of all sizes throughout Cumbria. We specialise in lending to the Leisure and Hospitality sector and a wide range of businesses in the Tourism industry, including holiday lettings, hotels and guest houses. Our team of managers have many years experience and they provide a professional, friendly and personal service. The University of Cumbria was launched in 2007 and is a multi-campus institution based in the North West of England. The university has over 9,000 students, full and part-time, based on its campuses in Carlisle, Lancaster, Ambleside and London, following a wide range of undergraduate and postgraduate degree programmes. Our reputation is strong both nationally and internationally, with students attending from all parts of the UK, other countries in the European Union and from many other parts of the world. Burnetts’ cross-discipline Tourism and Leisure team works with a diverse range of clients in the sector including hotels, B&Bs, restaurants, bars and visitor attractions. 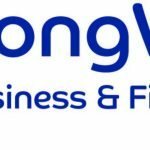 The team’s experience ensures that, whether clients are buying / selling a business, managing HR issues or trying to resolve a dispute, specialist expertise is available locally. For further information about how the team can support your business visit. 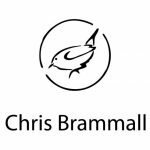 Chris Brammall is one of the leading architectural and sculptural metalworkers in Great Britain. His impressive and varied portfolio of art initiatives and public realm projects includes sculptures, bridges, street furniture and bespoke architecture as well as restoration and private commissions. Many of his most iconic sculptures can be found in public spaces throughout the UK. Cumbria commissions include The Glebe Bowness-on-Windermere, Staveley Mill Yard, White Moss Rydal and Brockhole Jetty. H&H Reeds Printers is Cumbria’s largest and best equipped printer with state-of-the-art equipment for digital, litho and large format indoor and outdoor print. 24 hour production ensures fast turnaround all combined with a friendly, local service thanks to locations in both Milnthorpe and Penrith. With customer service and satisfaction at the forefront of their business, Brakes Foodservice have been supplying hotels, restaurants, schools and care homes across the UK for over 50 years. Every product in their vast range has been selected or developed with chefs to meet and exceed the diverse needs of their customers. 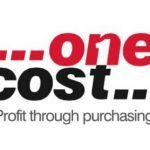 One Cost are specialists in supporting independent hospitality businesses to control costs and improve profitability through visibility of purchasing, regularly helping clients achieve significant savings. Through a combination of analysis and purchasing strength, they can help find you better, lower prices, and help maximise your profits. It’s all part of the One Cost service. Stronger together, Brakes have been the One Cost nominated supplier for frozen and ambient goods since 2008. With teamwork and excellent communication, Brakes and One Cost built long lasting and loyal relationships with their clients. We are proud to sponsor Wedding Venue of the Year 2017. 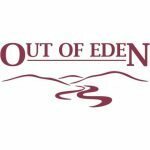 Intrinsically tied to the heartstrings of Cumbria, Out of Eden is the trade supply company that do things differently. A local, family owned business with vast experience in the hospitality industry, we supply a range of hospitality products designed to meet the needs of everyone from self-catering cottages and B&B’s, to hotels, bars, restaurants, cafes and cruise-liners. 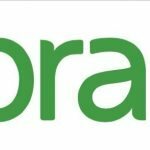 Renowned for championing our customers, by offering small pack size options, no minimum order amounts and free delivery on all orders over £49, we stock an extensive range of bed linen, bedding, toiletries and bathroom accessories, in addition to bedroom consumables, cleaning equipment, stationary and lots more. With a huge range of eco-friendly and economical products, including exclusive luxury brands such as Cole & Lewis and our new kitchenware range, Out of Eden is certainly not to be missed. NatWest have a vision to be the relationship bank of choice for SMEs and underpinning that vision is our customer promise which says that “by doing business with us our customers can be confident that they can realise their ambitions”. We are confident that we are very well placed to help customers get ahead and we work to our customer’s agenda, we think like a business first and a bank second. NatWest are passionate about serving their customers well and understanding their business needs. Armstrong Watson has been advising and supporting clients in its heartland of Cumbria since 1867. With offices in some of the major tourism locations in the UK, the firm is a trusted adviser to hospitality businesses of all sizes, helping to boost business results, performance and profitability, and is delighted to be sponsoring the Large Hotel of the Year Award this year. By combining specialist local knowledge with national and international coverage, Colliers International are leading specialists in the sale and valuation of hotels, guest houses, self-catering and licenced property. Colliers International are proud to once again sponsor Small Hotel of the Year 2017. We have been providing market-leading, innovative advice to clients for over 80 years. We employ the largest team of sector specialists, chartered surveyors, brokers and consultants in the UK to support owners, operators, investors and backers to make informed decisions with confidence. We work closely with our clients to guide and conclude transactions of any size, covering hotels, restaurants and pubs, leisure, forecourts and convenience retail businesses, social care and elderly care, childcare & education facilities, dental practices and pharmacies. Campbell and Rowley are delighted to be catering again for guests at the prestigious 2017, Cumbria Tourism Awards. Chef Paul Rowley and his kitchen brigade will be preparing a meal reflecting the rich food offer of Cumbrian producers and Lindsay Campbell and his front of house team will be looking after you to ensure you have a wonderful evening and experience. 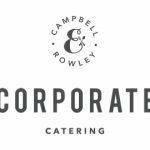 Campbell and Rowley are proud to be the exclusive caterers to Cartmel Racecourse and Holker Hall and Gardens and their work and reputation takes them across the Northwest and beyond to work with a number of prestigious and high profile venues. Legend says that it was the monks of Cartmel priory that first started the race-meetings on the park. The racecourse first appeared in the official Racing Calendar more than 160 years ago and has been delighting large crowds ever since. The team at the racecourse is very proud to be hosting the Cumbria Tourism Awards for the second year – and we hope that everyone enjoys the event.